Deciding whether or not to go through with buying a house is one of the most stressful things you can do. Not to mention the stressful nature of actually finding and buying a house. But thanks to the Internet, this is becoming easier. Not only are buyers provided with unique, tailored online solutions where they can search for their dream property, but they’re also benefiting from the exclusivity of buying online by auction. 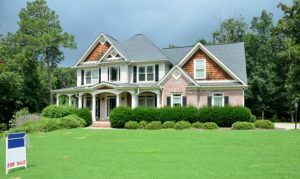 Here are just some of the benefits of buying a house at an online auction. When a property auction is held (by companies like Allsop, for example) there are set timescales that are put in place. These help to make sure the process of buying a property is much, much quicker as there are only 28 days until the completion takes place. With these set deadlines in place, you could be getting the keys to your new property in just four weeks! This is quite a bit faster than it might take to find a house and complete the purchase offline. A lot of properties that are sold by auction have great scope for improvement, which means a greater return on investment. Property shows like Homes Under the Hammer demonstrate just how viable buying at auction can be, as many properties come with added planning permission, change of use or conversion opportunities. Equally, many of the properties placed in an auction are cheaper than standard high-street properties, giving you more chance of bagging a bargain. This is often due to the seller wanting to get rid of the property quickly, or due to the amount of work that’s required to get the property in tip-top condition again. There’s nothing worse than placing an offer on a house only to have it rejected because someone has gazumped you at the last minute. But thankfully, this cannot be done when you buy a property at auction. As soon as the hammer goes down, the property is yours, and no one can try to outbid you. This gives you the added security and confidence that your property deal is going to succeed, and that the vendor won’t back out. That can’t be said for other types of home purchases. I’ve heard nightmares from friends and family about being out bid for their dream home at the last minute in an effort to scoop it away from them. Before the auction, the sellers will work with the auction house and solicitors to put together all of the information required before the auction date. This includes leases for tenanted property, title deeds, searches, planning permission and so on, which gives you access to valuable information before you buy the property. These are often available for you to download so you can make sure you’re 100% happy with the property before you place a bid on it. Would you ever consider buying a house via an online auction? Why or why not?